Would he or wouldn't he? 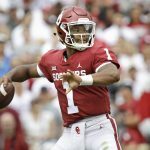 That was the question put out there for Kyler Murray during the entire season. After being drafted in the first round by the Oakland Athletics in the 2018 MLB Draft, Murray signed a deal with the Athletics that included a $1.5 million signing bonus when he signed. At that point, no one thought he would ever play college football, but those that thought he was done with football were wrong. 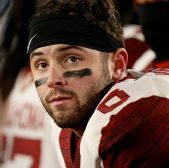 He would return to Oklahoma and have a scorching-hot season on his way to winning the Heisman trophy and giving Oklahoma back-to-back Heisman trophy-winning quarterbacks (Baker Mayfield and Murray). With his play being so outstanding and then declaring for the NFL Draft, the question again came up, wondering if he would play football or baseball. On Monday, Murray officially made his decision. field. He will reportedly be returning most of his signing bonus to the Athletics in order to chase the dream he has. While no one can tell Murray whether or not to chase his dreams to play in the NFL, you have to wonder how he fits in at that level. Looking at Murray, he isn't a big guy at all, standing at 5'10" and 195 pounds (which both could be stretching it). Even at that size, his ability is undeniable and he can make some amazing things happen. The two issues with his size: the amount of punishment he may have to take and passing the football as a dropbacks quarterback. Being a talented quarterback that can go get yardage with his feet as well as dazzle with his arm, he puts himself in harm's way when he decides to scramble when the play breaks down. 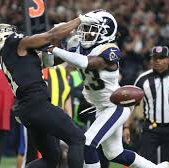 Those type of amazing plays are nice, but they are also dangerous because a hit on that smallish frame could knock him out of the game or land him on the injured list. Also, he will need throwing lanes almost all the time, being that he cannot see over his line and that could be an issue as well depending on what scheme he goes to. While there are risks there, there are also other cases of quarterbacks that have survived against the odds. Drew Brees is one that comes to mind. He is a shorter quarterback that many did not expect to make it as far as he has. Look at him now and he is one the greatest quarterbacks in the past twenty years. 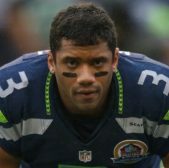 Another smaller quarterback is Seattle's Russell Wilson. No one believed he was going to be an NFL quarterback and like Murray, he was thought to be a baseball player. Seattle took a chance on him in the third round and now we have another franchise quarterback shorter than six-feet tall. The height Murray is listed at isn't a death sentence for his career. However, he does have some long odds to overcome. 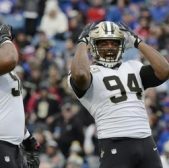 He is more than capable of doing so, but there are very few examples outside of Brees and Wilson, who were successes almost immediately upon their arrival. The one thing he does have in his favor is he is a more dynamic runner than Wilson or Brees, which would allow for him easier angles to throw once he is outside the pocket. Kyler Murray isn't the first person to choose football over baseball and he certainly will not be the last. It will be interesting to see how things go as he continues to pursue his NFL quarterback dreams. What’s Going On With Seattle’s Offense?